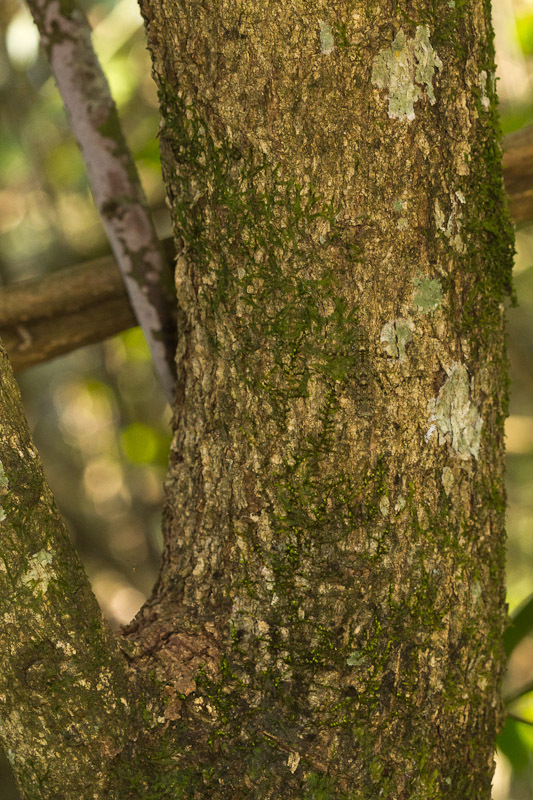 This bark mantis was the first thing I photographed on my first visit to Victorio Siqueroli Park. 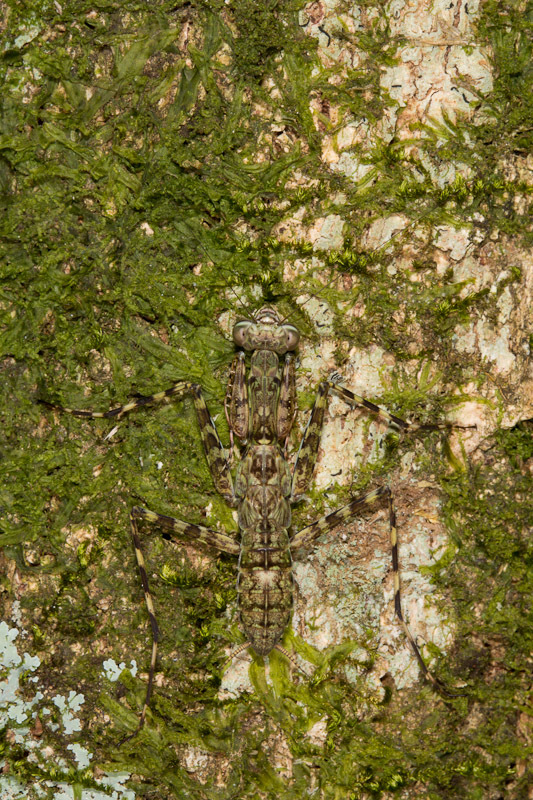 It was difficult trying to get some natural light photos that showed off its camouflage. It’s head down in the shot above, but it moved around during the shoot and ended up in various positions. Here’s some more shots with the aid of flash. I think just about everyone could spot something in the photo, they just couldn’t quite make out what it was. Initial guesses included a cricket, a grasshopper, and even a peanut-headed lanternfly. 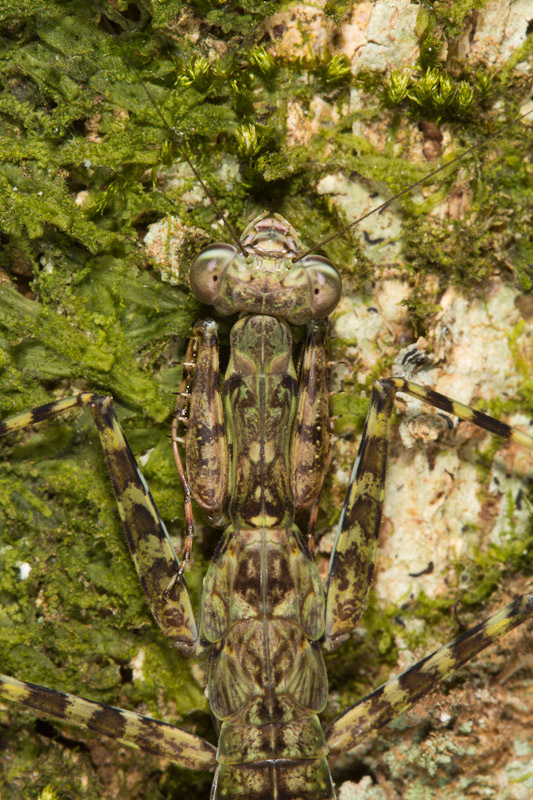 Finally, Ted C. MacRae and Zi-Wei Yyin both correctly guessed it was something in the order Mantodea. 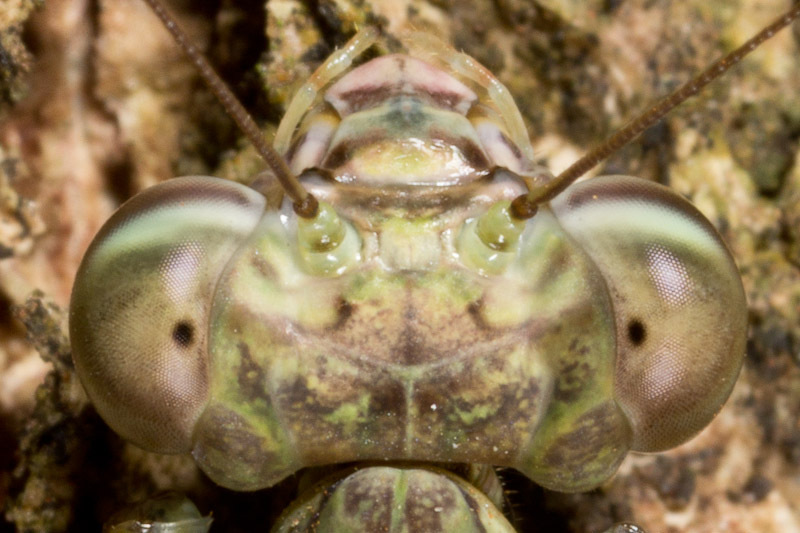 Here’s some more closeup shots of this interesting critter. On my last visit to the park I photographed another one of these interesting critters. Look for future photos of that one as well. I was really wondering why I could only see 4 legs, the rest seemed to get lost. 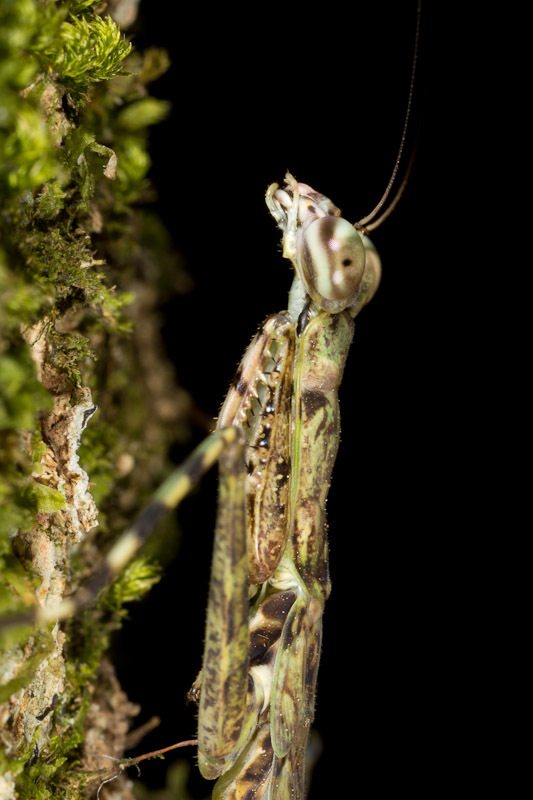 I’ve never seen a mantid in this flattened position before! 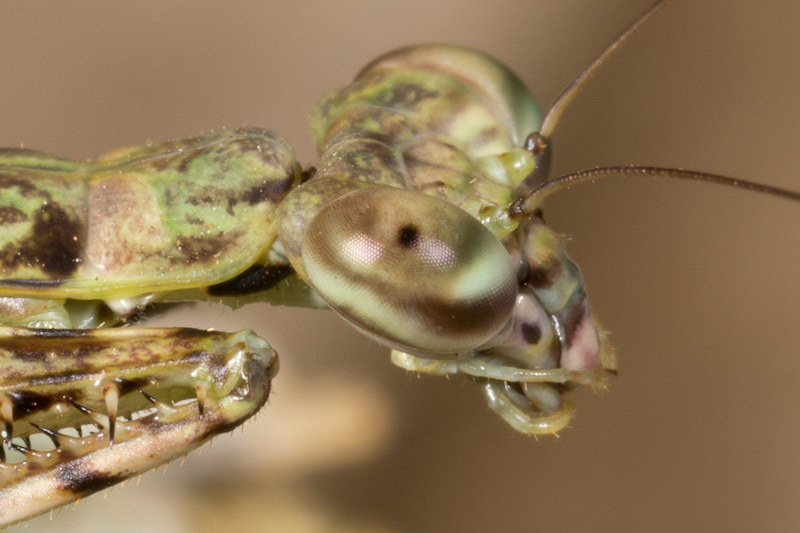 Awesome closeups – something about the length and position of the legs said Mantodea.